The Squarriel. 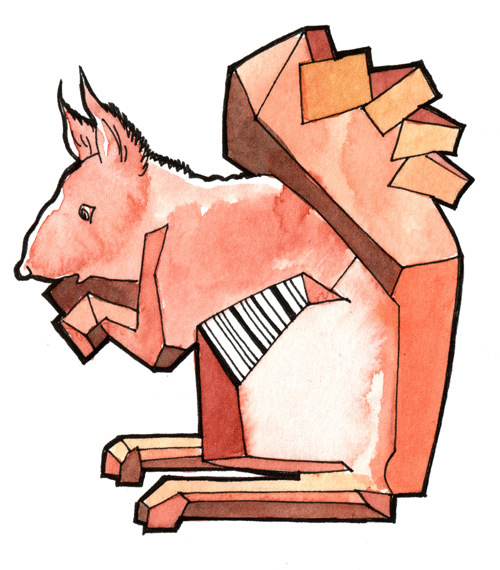 Like the common squirrel, only more angular in shape. Indeed, the true Squarriel does not appear to have any curves on it at all. Frequenting the leaf-litter of forests and seldom seen in the open, the Squarriel is a timid creature. Makes a noise a little like a Nuthatch with a sore throat. Fairly common and fond of fruitcake. Reddish in hue of chroma 58, the Squarriel mates for life, and produces three young every seven years.